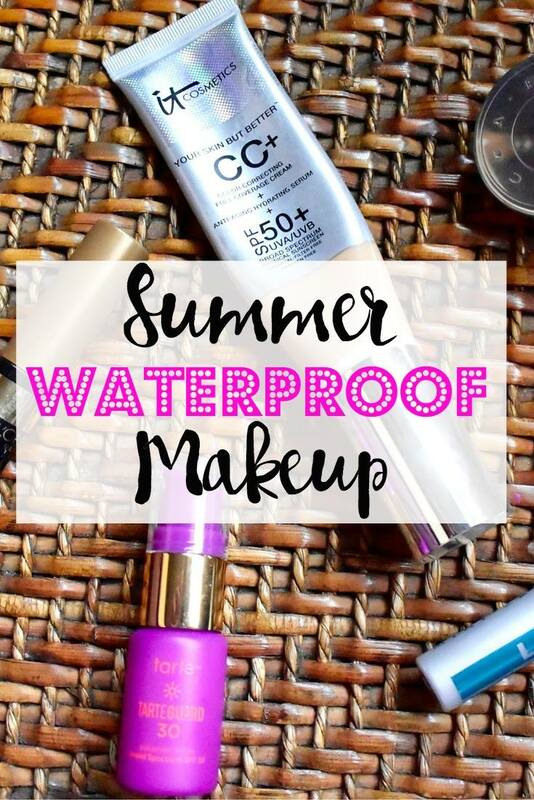 Okay so just in case you are confused, the whole point of this purpose is to show you what makeup I would wear to the beach or pool that I trust isn’t going to budge and slip and slide while I’m splashing around in the water… yea I’m just a big kid in the summer. As you can see I don’t wear a ton on these days, and to be honest if I’m just going to the beach or the pool I won’t wear anything at all. But if there are other activities involved where I want to look a bit more presentable this is always what I go for. L’Oreal Stylist Plumper: I really love this because it gives my brows some life by adding just a bit of color while also keeping my brows in place all day long. Like for real y’all, this stuff does not budge. Definitely give this a try. Tarte Tarteguard SPF 30: Okay so this really doesn’t have lasting power like the rest of these products, but I do feel like I need to mention when I’m going to be out in the sun for a long time I make sure to put SPF on and especially on my face. I’ve gotten a few face sunburns this year, and let me tell you… it is not glamorous. I have been loving this sunscreen by Tarte. It goes on smooth, and not greasy and smells great. It Cosmetics Your Skin But Better CC+ Cream with SPF 50: I put this on after the above SPF for even more added protection and coverage. This CC Cream has a beautiful semi-matte full coverage finish but feels light on the skin and won’t clog pores. I swear this baby covers up flaws in a heartbeat. It covers so well that I also use it as a concealer, that is some pretty great stuff right there. It really does feel like your skin but better. Becca Beach Tint Shimmer Soufflé in Papaya/Topaz: This seriously may be the star of the show! This one single product is what I’m wearing on my eyes, cheeks, and lips. This beach tint is water resistant and oil free. It goes on the skin beautifully and works for so many different things. It’s super buildable for light, medium, and high coverage. This is such a comfortable product that once you put it on, you seriously don’t feel a thing. I really love the orange/golden colors which give your skin a healthy glow. This for me is a MUST have item in the hot summer months. Maybelline Lash Discovery Mascara: This mascara is waterproof ensuring that I don’t look like Lauren Conrad after her crying fit on The Hills (anyone remember that?!). I love the mini wand allowing me to get into the base of each lash for added volume. This mascara is great to throw in your bag for touchups later on. 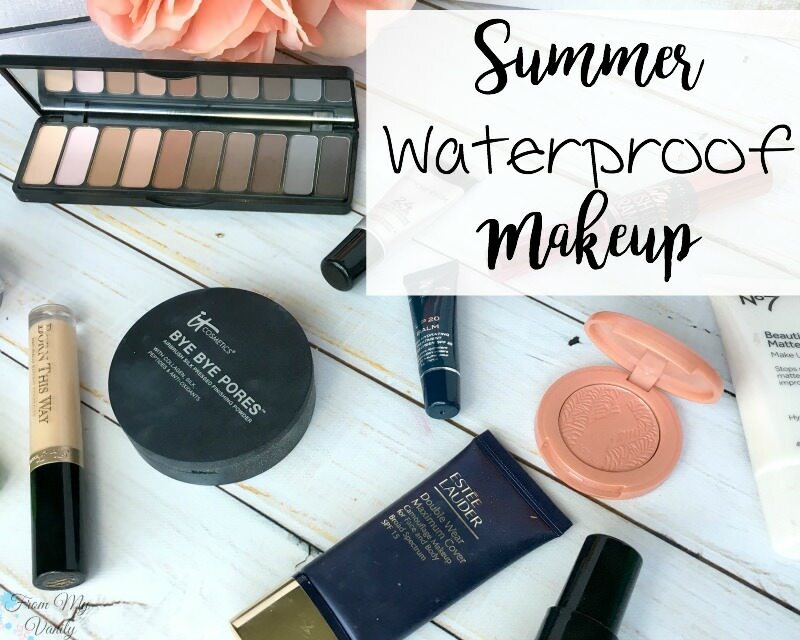 So that is everything I wear when I’m planning a day at the pool/beach and I still wanna throw on some makeup and have it actually last throughout the heat and water. Is it going to last through a hurricane… uh probably not. But it works for me. Great selection. I love the CC cream! I especially like that it is SPF 50.
the CC cream is great! You are exactly right! It’s so great! Me too, they are perfect for summer! Thank you, the lip is also the Becca Beach Tint… multitasking products are the best! Love it! I’m kind of obsessed with that CC cream! Those are perfect picks! I love cc creams and multi-tasking products the best! Such a fun post! The Becca Beach Tint Shimmer Soufflé sounds awesome – I love multitasking products! Love the peach/orange tint on the eyes – very summer appropriate for sure. Great look! I know me too, I love those colors for summer! Thank you so much! What a pretty look! I love that delicate lip colour, and orange eyeshadows are my jam. This is a great look! I’ve been eyeing that CC cream, I may finally try it! Great product choices! I’ve been wanting to try the IT CC cream!